It is sometimes said that slugs (especially the Spanish slug) taste bitter and that for this reason, many animals won’t eat them. That is not correct. 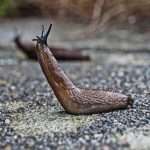 Slugs and snails have many natural predators. However, for various reasons, their enemies are disappearing in many areas. This is one of the main reasons why slug populations are booming. 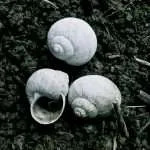 In this article, you will find more information on how to identify and attract natural predators of slugs and snails to your garden. Who are their natural enemies? 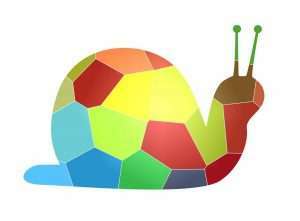 1 Which Animals Eat Slugs and Snails? Which Animals Eat Slugs and Snails? 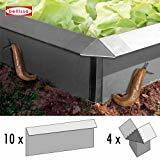 Particularly industrious slug and snail predators are various species of insects (e.g. 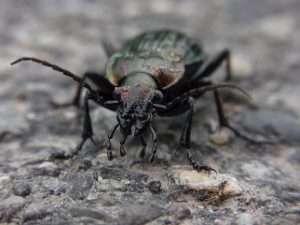 beetles, harvestmen, and flies). A lot of beetles and their larvae especially feed on slugs and snails. Ground beetles like to eat snails and slugs. For example, they are the main source of food for fireflies/lightning bugs. Since insect species are threatened with extinction or are already extinct in many areas, slugs and snails can thrive. The decline in insect populations has become increasingly devastating since the introduction of man-made pesticides to agri- and horticulture. Please abstain from using pesticides. Then you are helping these natural enemies of slugs to settle in your garden. 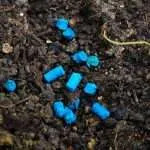 Also, slug pellets use pesticides – so-called molluscicides, which harm not only slugs and snails but also their natural predators. 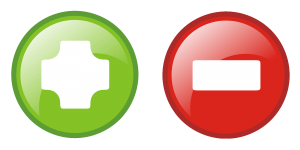 Please note: Insects are not only sensitive to insecticides but also to herbicides and fungicides. 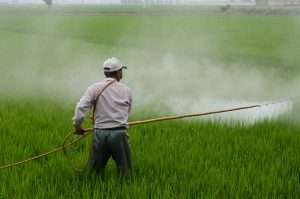 They suffer a great deal since more and more of the environmental poisons contained therein are being introduced into agri- and horticulture. This has far-reaching effects, as many predatory animals are suffering from a decline in the insect populations. For example, hedgehogs, toads, lizards, and songbirds need insects for their survival. They are also natural enemies of slugs and snails, but they cannot live by feeding on them alone. How to attract hedgehogs to your garden. The decrease in insect populations is alarming, and there is a need to take decisive counteractions wherever possible. Every garden can become a small ark for endangered animals and plants. Species protection in the garden will not only help animals; gardeners also profit because a high diversity of species prevents pest population booms. If a garden is rich in biodiversity, any slug or snail problem is nipped in the bud. 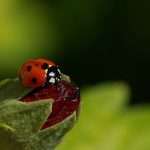 The more species live in a garden, the lower the risk of a pest infestation. Click on the link to find out more about insects that eat slugs and snails and how to help them. 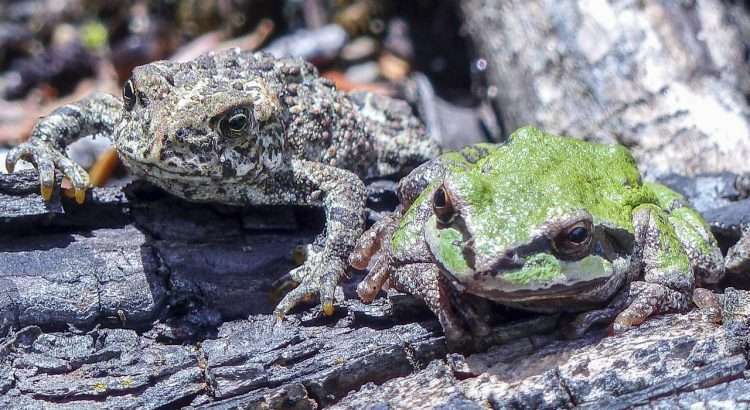 How to attract amphibians – like frogs and toads – to your backyard. Click on the link to find out how you can attract songbirds. Offer as many indigenous plants and trees as possible. Create wild corners in the garden and leave them alone. 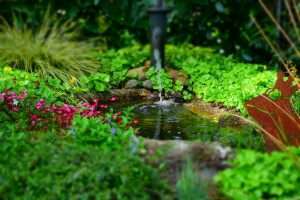 Create garden ponds with rich bank planting. Layer piles of stones with many cavities. Build dry stone structures (dry stack stone walls) in sunny spots. 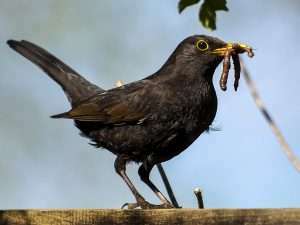 Blackbirds will love eating your slugs. Pile up leaves in undisturbed, quiet, secluded spots. Create blooming hedges with native plants or dead hedges. Minimize garden lighting and where necessary use only warm-white LEDs. Do not clean the beds in autumn and leave plant stems until spring. Leave deadwood and use different varieties of coarse woody debris. 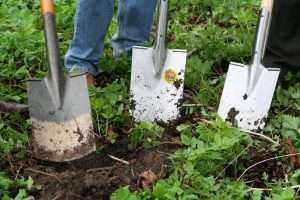 If possible, do not dig up the soil, only open the surface a little and loosen the subsoil. Offer small open sandy areas with open water close by. Mow the lawn rarely and insect-friendly (bee-friendly). Refrain from using chemical crop protection. These are things that everyone can do to create little arks for endangered species. You will find more detailed information below. Native plants are the foundation for biodiversity. Plants are the basis of life in every garden because they stand at the beginning of most food chains. A lot of insects rely on specific plants to survive. It is essential, therefore, to cultivate as many different native plants as possible. With their flowers and plant saps, herbs, trees, and shrubs nourish tiny animals, which become the food source for almost all larger animals. That is why it is crucial to let plants bloom and to offer the broadest possible range of flowering plants throughout the year. Where it is given space, nature will flourish. A tidy garden is unfortunate for most animals, as they will find little food in it and lack places to live and hide. It is therefore a great help to leave some areas in the garden to themselves and to allow a certain amount of disarray. These places do not have to be huge. Even a small pile of branches or little cairns will make many animals happy. It is important to leave these spots as undisturbed as possible, then their residents will feel most comfortable. Almost all animals rely on an accessible source of water to survive. A tiny waterhole can make a big difference. Garden ponds are therefore always a great help to increase biodiversity even further. Not only does a pond provide space for unique animals, but many plants also need this habitat. The bank of a pond can be planted with a great variety of native water-loving plants. It is advisable to refrain from keeping fish, as they will eat up the snail-eating amphibians and their spawning. Only in a huge pond is it possible for fish and a variety of amphibians to live together. Of course, it would be best to create different ponds, then fish, toads, and newts would each have their own space in which to flourish. 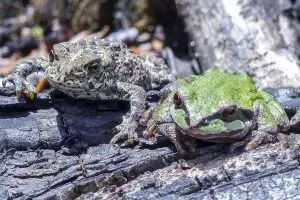 A small pile of rocks that includes a lot of cavities is the perfect home for ectotherm animals such as frogs or lizards. If you wish to create a professional cairn, then pick a sunny spot and dig a 20-inch (30cm) deep hole and fill it with sand and gravel. On top of the gravel, place layers of large and small stones on top of each other, thereby creating many cavities and hollow hiding spots. Afterwards, cover the shady side with sand. Many animals will make themselves at home here. Some might even be keen to spend the winter inside. Dry stone walls support many species. A dry stone structure or wall can heat up in the sun and has many cracks and cavities. 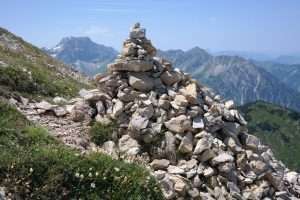 Like a cairn, this provides a home for countless small and large life forms. 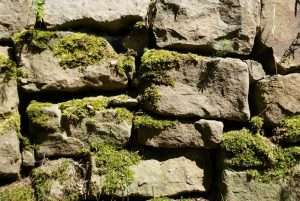 The construction of a dry stone wall, however, requires experience. If not piled up correctly, it could collapse and harm someone. To create stability, you need a solid foundation and skill in layering. It is advisable to inform yourself in advance about how to do this. A pile of twigs and branches is easily stacked up and will be a paradise for wildlife. This brushwood-pile could become a home for a hedgehog family. For this reason, the custom of shredding the branches in autumn or spring and removing them from the garden is not good for wildlife protection. The garden might look tidy if you dispose of dead plants. But it is advisable to leave at least a part of it (preferably all of it) in the garden as in this way you offer many animals a niche to live in and a shelter in which to survive during wintertime. If the pile is covered with foliage, not only will hedgehogs feel at home, but many insects will also benefit. Hedges of flowering native plants and shrubs are a source of life and therefore a gift to nature. 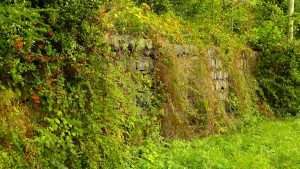 A hedge can be combined with a dry stone wall. Since hedges are left alone for most of the year, many species can live in them undisturbed and can multiply peacefully. 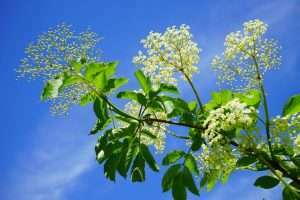 If the hedge flowers, it also provides nutrition and increases the attractiveness of the entire garden. A special treat for wildlife are dead hedges. Birds especially love dead hedges, as they will find food and safe shelter inside. For this purpose, branches and twigs are piled up to form a kind of hedgerow. This is held in shape by wooden posts – similar to a laid hedge. Most nocturnal insects are very sensitive to artificial light sources. If you need light in the garden, please use warm-white LEDs. Mainly short-wave blue light attracts them magically, and standard lamps are thus often fatal for all kinds of moths and flies. Therefore, it is beneficial to use only warm-white LED bulbs (1000–3000 Kelvin), as they emit no UV light and only a few blue parts of the light spectrum. However, it would be better to abstain from nightly lighting in the garden. Use motion detectors and install lights close to the ground so they only light the spot you need them to. Try to position and adjust light sources in a way that they cannot trap animals. A large number of insects rely on dead plant remains to overwinter in or below them. Many animals need dead plant remains to survive the winter. Therefore, it is particularly important not to clear garden beds in the fall. 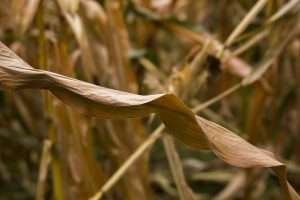 As much dead plant material as possible should be left during the winter. 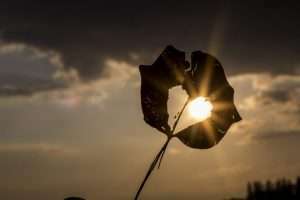 You will do nature a great favor if you relax and leave dead plant remains until spring. Dead plant stems and flowers especially are vital; for example, for solitary bees. You can clean the beds in spring when life starts to flourish again. This practice may not be pleasing to the eye, but wildlife will benefit enormously. Each dead tree trunk can become a species-rich habitat. Deadwood is a source of life. 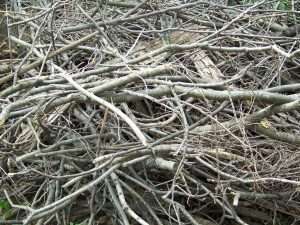 It is useful, therefore, to offer coarse woody debris in your garden. Even better is to provide a variety of different tree species in hidden spots all over the garden. With little effort, this creates many small habitats that are vital to many insects (for example, beetles and solitary bees). 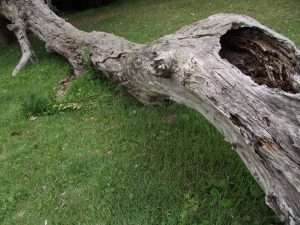 For this reason, in many gardens, dead trees are used to build deadwood sculptures. The bigger the pieces of wood and the more tree species you can offer, the better. Soil itself is one of the most important habitats. Thousands of insects pupate in the ground. 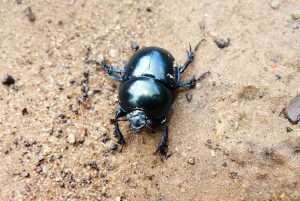 Some species live there for many years before they enter the Earth’s surface as all sorts of different beetles. If possible, you could reduce digging. It is crucial not to disturb this habitat unnecessarily, therefore, because digging over the soil does a lot of harm to these species. This is why you could try to dig less often and to minimize its depth. For the cultivation of many plants, it is enough to break up only a tiny top layer and to loosen the subsoil with a drain spade. Some animals need an open sandy surface. A sandy area is a unique habitat. For example, some solitary wasps or solitary bees need these sites to get construction material for their nests. Some species will also use this place to dig up holes and caves to breed their offspring (for example, digger wasps or beetles). If an open water source can be found close by, bees especially will be happy. 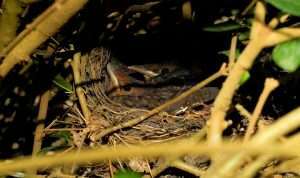 Then they can make themselves a kind of mortar, which they need to build and close their nests. Unfortunately, mowing is harmful to many animals. It prevents the flowering of clover and many other plants in the lawn. Their flowers are a possible source of food for many insects. Apart from this, lawnmowers injure and kill many animals directly. So, it is beneficial to mow less and even to leave some areas of the lawn completely alone. Mowing them only one to three times a year is enough to prevent trees from taking over. In these areas, many native plants will flower and provide a habitat for natural predators of slugs and snails to flourish. As mentioned above, there is nothing worse for the biodiversity in your garden than the use of pesticides. They are used in many places to ‘take care’ of one sort of plant or animal, but at the same time, they kill a whole lot of others. Pesticides are not the way! Some people are unaware of the damage they inflict by using so-called ‘harmless’ insecticides or herbicides. Unfortunately, many of these poisons are still in wide use, damaging wildlife to an extent that we cannot yet foresee. Countless species are already extinct or threatened with extinction. 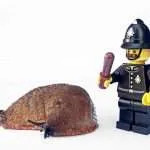 This is perhaps the main reason why slug and snail problems are increasingly affecting many gardens. 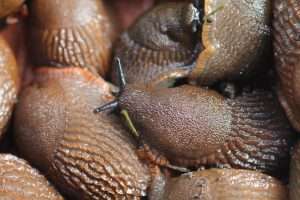 Many insects and amphibians are already gone, which makes it possible for slugs and snails to multiply and spread. A species, once extinct, is lost and can never be brought back. It is so important, therefore, to relearn how to cultivate a garden without using poisons. Tip: On Michelle´s blog ‘gardening leave’ you can find inspiring information about gardening tools. Have a look! There are many ways and means that can help to promote species-rich habitats. Those mentioned in this article are just a few. 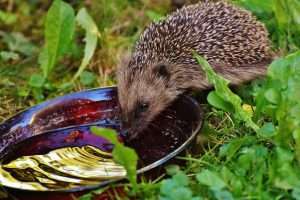 If you start to garden less meticulously and to offer more and more sites for wildlife, your garden will become a little paradise for many animals. Stone and wood piles, garden ponds, deadwood, and hedges will help to protect Mother Nature and her children. This allows wildlife to recover slowly and natural balances can be restored. 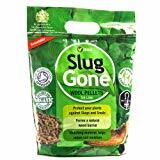 Thus, the natural enemies of slugs and snails will find enough niches in your garden to thrive. As a result, snail and slug populations will naturally be kept small. Additionally, many other pests will be nipped in the bud. Good luck with developing biodiversity in your garden! 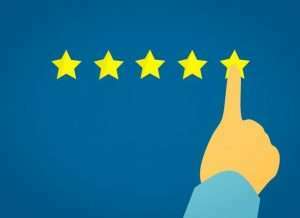 5 (100%) 4 votes - Glad you are here.